A cold front from the north overwhelmed Vietnam’s northern region, which was at the peak of a severe heat wave which began on May 6, causing whirlwinds and heavy rains last Monday morning. The National Hydro Meteorological Forecast Center said that the heavy rains flooded streets in Hanoi and Hai Phong cities as well as areas of the Nam Dinh Province. In the Lao Cai Province, the heavy rains and strong winds, 89-117 kilometers an hour, ruined 1,300 houses and schools. It is estimated that the province suffered a total loss of VND5 billion (US$263,000) with Lao Cai town and Bat Xat District suffering the worst damage. 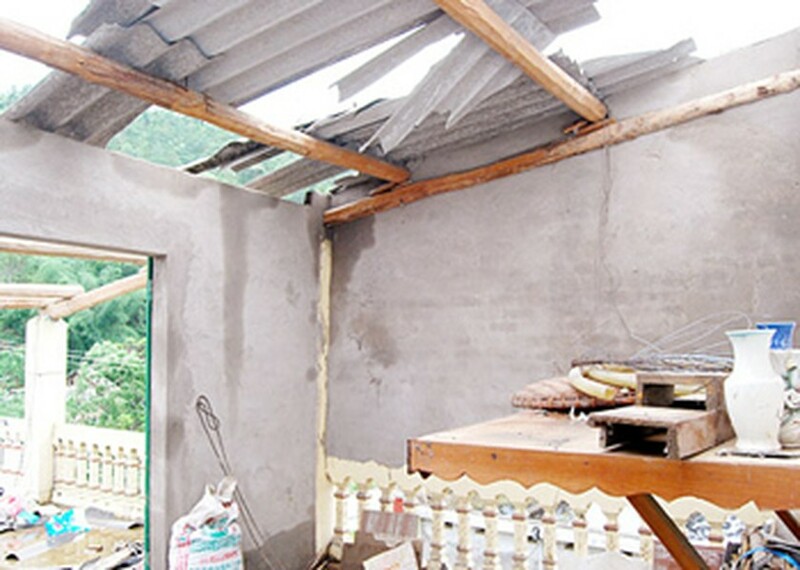 In Cao Bang Province, the torrential winds damaged hundreds of houses, in many cases, blowing off entire rooftops. However, the rains also supplied a considerable amount of water for reservoirs of Hoa Binh, Thac Ba and Tuyen Quang hydropower plants. The central region, after a week suffering severe hot and arid weather, provinces from Quang Binh to Quang Ngai received welcomed showers on Monday afternoon. 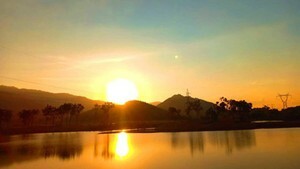 In Quang Binh Province, a three-hour shower reduced the temperatures from 40 Celsius degrees to 35 degrees. Local residents were very happy as the rains watered crops which had dried up in Bo River’s low section area. In addition, the rains softened the salt penetration on the region’s large rivers and provided irrigation water for cultivation of 50,000 hectares of summer-autumn rice crops. Meanwhile, in Quang Nam Province experienced tumultuous winds that severely damaged property within the mountainous district of Nong Son. Le Duc Thinh, deputy chairman of Que Lam Commune said that the whirlwinds left hundreds of houses and schools without roofs. Only over the past 20 days, three tornados and whirlwinds have swept through Nong Son District, causing a total loss of VND10 billion (US$526,000). The national weather bureau said that by May 11, the rains would reduce in the north. Meanwhile, the cold front is expected move southward into the Central and Central Highlands areas, which might bring heavy rainfall to those regions. In HCMC, the scorching heat continued through May 10, causing many children to suffer from heat-related illnesses. The National Hydrology Meteorology Forecast Center said that unexpected thunderstorms and showers would bring the comfort and cooler days in the Southern and Central Highlands regions in the next couple days.